Uniform Rental in York, Home to One of the Largest Suppliers of HVAC Systems in the U.S.
York, Pennsylvania is home to one of the Largest Suppliers of HVAC Systems in the United States, York International, a Johnson Controls Inc. company. Today, York® HVAC products are heating and cooling some of the world’s most famous structures, from the English Chunnel to the U.S. Capitol building to the Empire State Building, Sydney Opera House, and more. 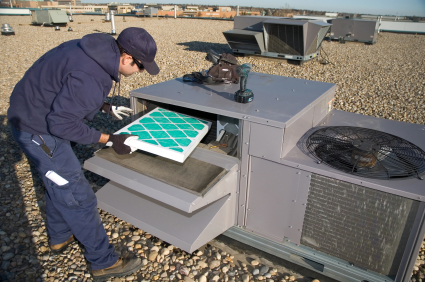 If you have an HVAC service and or installation company in southern PA., perhaps your company specializes in the installation and servicing of York® products. No matter what brand of HVAC products your company installs or services, you know it takes more than a quality product to run a successful HVAC business. It takes great service and exceptional people. Your service and your people define the image of your company and its reputation. You already provide good service, the other half of the equation is how your people behave and look. OK, your folks are professionals and they act like it – how do they look? If you’ve gone to all the effort to sell the best equipment, provide outstanding service, hire professionals, why let the look of your people spoil things. Your HVAC service people carry your image wherever they go in their behavior and appearance. Shouldn’t they be outfitted in a clean uniform that says, “I am a professional.” You may have the best HVAC mechanics in the business, but if they are wearing grungy, tattered uniforms, they may be sending the wrong message to customers and prospects. After all, people want to know they are in good hands. And in the business world, image is everything. One of the easiest and most cost-effective ways to ensure you are giving your customer the best possible first impression is to outfit your employees with uniforms. Attractive, well-fitting uniforms distinguish your employees as capable, trustworthy professionals who can get the job done. But new uniforms are expensive, right? Well, not if you rent them. Choosing to rent uniforms instead of purchase them is an easy decision for you and your business. For a flat, weekly fee, your uniform rental company will handle everything, from pickup and delivery to cleaning and repairs. It couldn’t be any easier or more convenient. Lord Baltimore Uniform is an independently owned uniform service company, offering uniform purchasing and uniform rental to companies ranging from Northern Virginia and Washington DC to Southern Pennsylvania and Delaware. We promise to provide intimate, customer-driven service at a competitive price, ensuring your employees look their best, your budget doesn’t suffer, and you remain satisfied. But don’t take our word for it. In 2012, our customer retention rate was an astonishing 96%. Our happy clients speak for themselves. Lord Baltimore Uniform is the clear choice for all of your uniform rental needs in York, Pennsylvania and the surrounding area. If you have any questions about Uniform Rental in York, Pennsylvania, please contact Joe Bateman at Lord Baltimore Uniform at 800-292-1224 or visit LordBaltimoreUniform.com. You can also follow us on Facebook, Twitter, LinkedIn, and Google+. This entry was posted on Wednesday, May 22nd, 2013	at 4:43 pm	. You can follow any responses to this entry through the RSS 2.0	feed. Both comments and pings are currently closed.